In 1968, 98 competitors stormed out of London on the world's greatest automotive adventure. Four weeks later they arrived in Sydney - or at least half of them did. The others lay in ruins along the 10,000 mile route of the world's most gruelling test of vehicle and machine. The London-Sydney Marathon, the most ambitious and greatest car race ever staged was watched by millions, promoted by two great newspapers , Sir Max Aitken's Daily Express in London and Sir Frank Packer's Daily Telegraph in Sydney. It tore through borders which are now locked shut by war and insurrection. Armies turned out to carve its path. Whips and truncheons were used to force back crowds across Asia. Russian MIG fighters forced down a press-plane. Born in a time of economic anxiety gripping Britain the Marathon was conceived to lift the spirits of a nation. It was the flag bearer for new prosperity. So endemic was its influence that school curriculums were changed to enable students to follow its path across Europe, Asia and Australia. Unimaginable now in either concept or execution, the Marathon captured the rapt attention of whole countries through which it passed, and of the world as it created front page news. It was more than a car race, more than a rally, more than the trials that opened the outback of Australia only a decade before. It was called Marathon in homage to the greatest Olympic footrace of all time. In Australia there was immense commercial competition between its two major manufacturers Holden and Ford. The quest for salesroom supremacy was fought out on the race tracks - Holden with its new coupe the Monaro and Ford with its soon to be iconic Falcon GT. Both factories entered the Marathon, each with a three car team. Neither was to win, but the story of their duel is a motor sporting legend. John Smailes has the inside story from both teams. He was so close to the Holden team that he carried spare parts for them on the press plane and downloaded first-person reports from team members' tape recorders at every stop. Many of the competing team members are still able to provide first hand retrospective on the greatest challenge of their lives. Scotsman Andrew Cowan won in a tiny Hillman Hunter in the most controversial of circumstances. One by one the giants of the car racing world dropped out, defeated by the pace and the conditions. On the last competitive stage, so close to the finish that it was just over the horizon, Lucien Bianchi's leading Citroen crashed out in a collision with a privately owned car driving the wrong way. Bianchi, badly injured, was repatriated to France only to die in a fiery crash at the Le Mans 24 Hour race six months later. No-one died on the Marathon - not officially. But the huge crowds which lined the route through countries and regions which today have been made inaccessible by wars were at grave risk as the cars sped by. An Australian competitor arrived at a passage control to find a severed human foot wedged in his rear bumper. The story of the Marathon has become legend in the field of motor sport and in human endeavour. November 2018 marks the 50th anniversary of the Marathon. 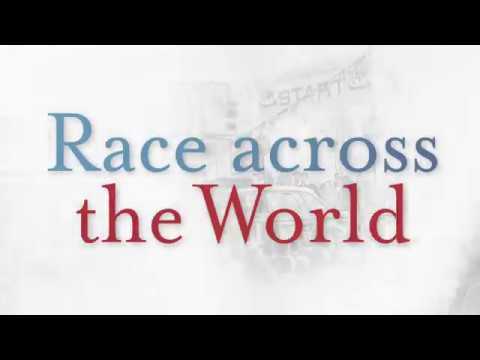 It is a perfect time to produce the definitive inside story of the race across the world.